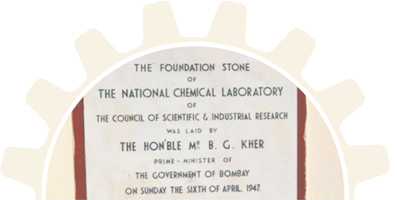 National Chemical Laboratory (NCL), a constituent Laboratory of the Council of Scientific and Industrial Research, New Delhi was formally declared open on January 3, 1950. Conceived from the vision of the great makers of modern India, it has celebrated its 60 years of growth and existence during the year 2009-10, culminating in the Diamond Jubilee of its Foundation on January 3, 2010. Sixty years is a significant milestone in the history of an institution. 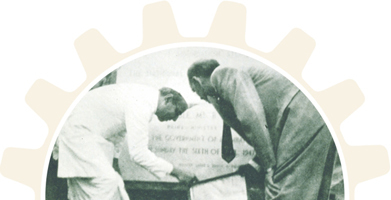 NCL has had a lineage of distinguished leaderships who have guided its destiny at various milestones of this journey. With its rich tradition of excellence in scientific research, it has nurtured the best minds of India. It has contributed over the years in myriad ways to the development of the chemical industry in India. It has partnered research with some of the largest chemical companies of the world. The mission and goals of NCL, as stated by its founding fathers, has continued to stay relevant to the needs of India. It has continually transformed and reinvented itself to meet the new challenges . While the past is our heritage, the future is our destiny. NCL is poised to face this future with ever more commitment and passion to ensure that India is counted amongst the front ranking nations of the world.